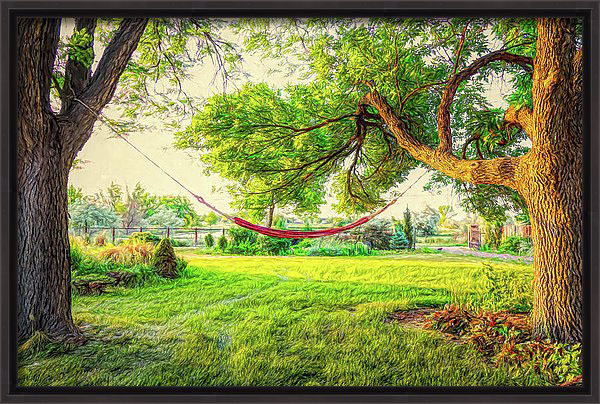 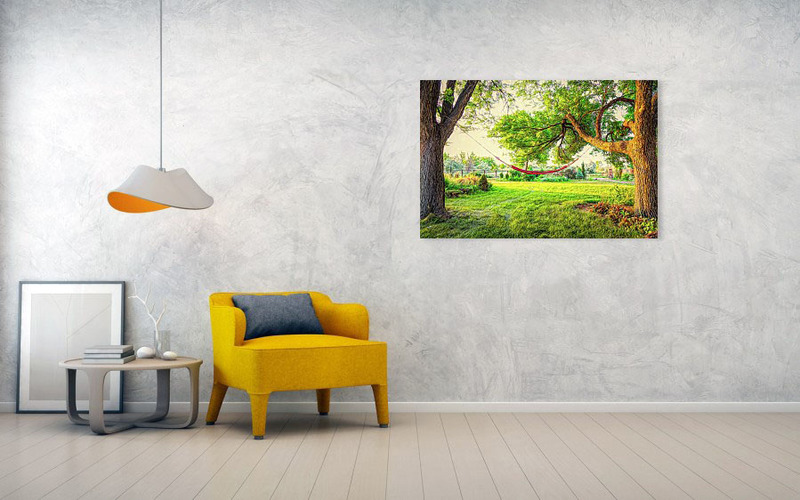 Mixed media digital fine art photography painting of a cozy hammock between two trees in a country setting landscape. 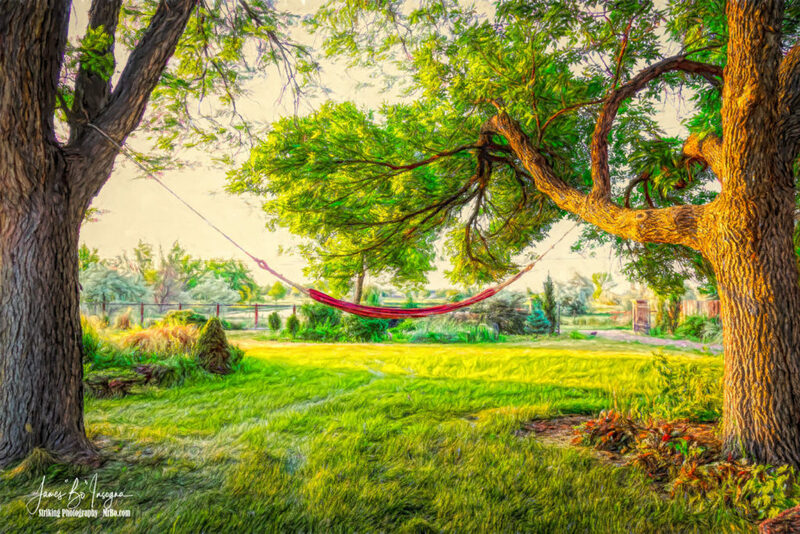 Colors of green yellow and red. 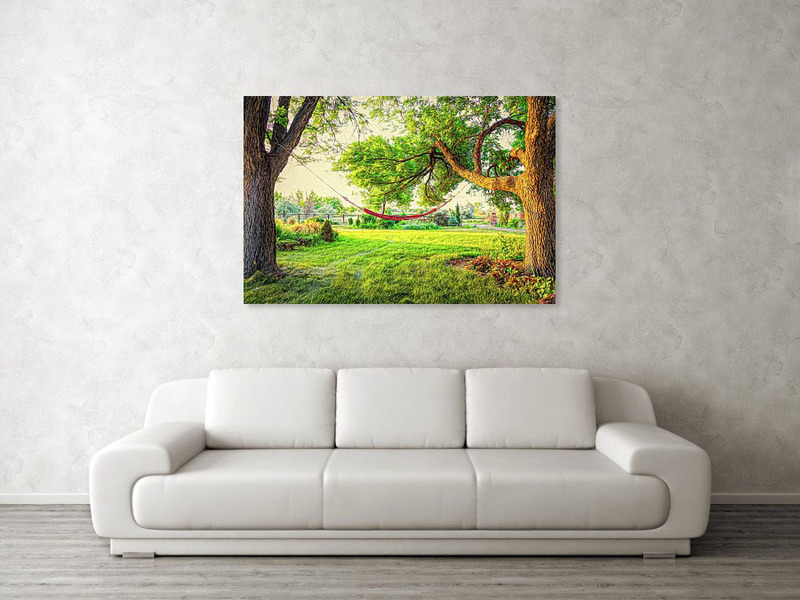 All artwork and images in this gallery are the original artwork of James Bo Insogna , Copyright All Rights Reserved and is protected by US and International Copyright laws.